Novelist and poet who likes love stories and cheese. Author of 'The Last Day', 'The Moment', 'The Perfect Affair', 'Eleven Rooms' & 'Interference Effects'. 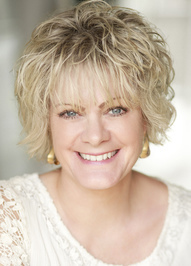 Please be aware that messages on Goodreads are not checked regularly but I'm on Twitter as @ClaireDyer1 so please get in touch with me there and I'll get back to you as soon as I can. Thank you. To ask Claire Dyer questions, please sign up. As writers, it is truly wonderful to see links between our own work and ‘the spirit of the age’ because it means we must be ‘on message’ about the kind of issues preoccupying readers and viewers. Well, I certainly believe this and so I was intrigued when to learn about Showtime’s new drama, ‘The Affair’. We’d love your help. Let us know what’s wrong with this preview of The Woman I Was Before by Kerry Fisher. We’d love your help. Let us know what’s wrong with this preview of Excellent Women by Barbara Pym. We’d love your help. Let us know what’s wrong with this preview of The Light We Lost by Jill Santopolo. We’d love your help. Let us know what’s wrong with this preview of The Buried Giant by Kazuo Ishiguro.